As someone who's been round the block a few times, the days of the truly great and inspirational live album are long gone. 'Strangers In The Night', 'Live And Dangerous', 'Made In Japan', 'Two For The Show'... all true classics; meticulously crafted gatefold vinyl that pretty much defined the golden age of the genre (yes, I'm talking about the seventies). These days the very proliferation of live CD's and DVD's has saturated the market to such an extent that, as a mainstream currency, the medium is significantly devalued – most little more than a cheap stopgap until the next studio album/'Best of...' set etc., etc. 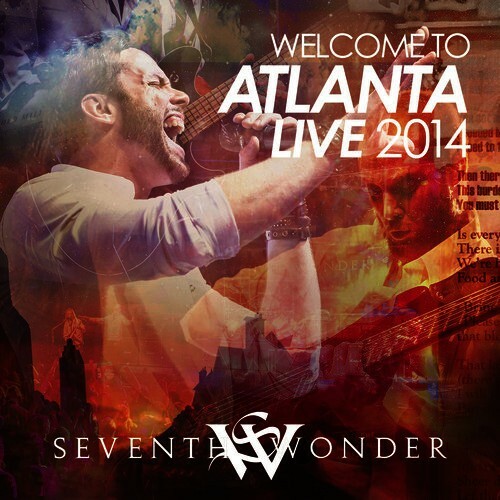 However, every once in a while you do stumble upon something a little more authentic, something that for an all too brief moment transports you back to those glory days when vinyl was king... 'Welcome To Atlanta Live 2014' is perhaps one such release. A Progressively-tinged Melodic Rock/Metal quintet from Sweden, to the outside world Seventh Wonder are perhaps best known as the band who introduced vocal sensation Tommy Karevik (now of course an integral part of Kamelot), but to those of us in the know, the four studio albums they've released thus far are uniformly excellent... a perfectly balanced blend of frothy hooks and deft musicianship combining influences as diverse as Nation, Symphony X, Europe and Dream Theater in one deliciously tempting repast. 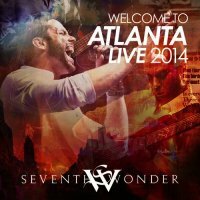 Recorded at ProgPower USA in September 2014, the four disc (2CD/2DVD) 'Welcome To Atlanta – Live 2014' offers an, at times, fascinating glimpse into one of the most promising young bands to emerge in more than a decade. Okay, budgetary restrictions mean the visuals are modest rather than opulent (still eminently watchable though), but the set (which includes the magnificent 'Mercy Falls' album in its entirety, plus a smattering of some of their best tracks from the other three) has a sense of theatrical grandeur that maintains interest from the first moment to the last! And, from a completest point of view, the addition of two brand new studio tracks – the brash 'Inner Enemy' and majestic 'The Promise' (all ten glorious minutes of it!) – really are the icing on the cake!